In the latest sign of MSNBC's reinvention, polarizing talk show host Al Sharpton is being moved from a prime five-day-a-week show to once-a-week. Sharpton will give up his 6 p.m. hour on weeknights on September 4, and he'll take over the 8 a.m. Sunday hour a month later. The move comes as MSNBC steers away from provocative progressive talk and emphasizes more straightforward news programming. Sharpton is provocative, for sure. He is one of the country's foremost civil rights activists, and his reputation has been burnished by "PoliticsNation," his weeknight show that started in 2011. But the show, like much of the rest of MSNBC, struggled to compete in the daily ratings race with Fox News and CNN. As executives at MSNBC's parent company, Comcast (CCV)-owned NBCUniversal, have prepared a reboot of the cable news channel, they concluded that Sharpton's political commentary didn't fit. He'll initially be replaced by an hour of news coverage called "MSNBC Live." MSNBC did the same thing earlier this summer when it canceled its 3 p.m, 4 p.m. and 5 p.m. political talk shows. "MSNBC Live" is seen as a placeholder until new programs are installed. Phil Griffin, the president of MSNBC, said that he'll soon "share our plans for a new 6 p.m. show." A source with direct knowledge of the deliberations said a political roundtable show is being contemplated for the time slot. Chuck Todd, the moderator of NBC's "Meet the Press" on Sunday, is expected to move into the 5 p.m. time slot sometime this fall. A panel discussion program would be a logical companion at 6 p.m. When the announcement happened on Wednesday, Sharpton tried to portray it as a positive, telling the New York Daily News that "I'm very happy" about the move. He said "I can now get the A-list guests and newsmakers I want" and a "Sunday morning host is what I always wanted to be." Sharpton is known for preaching at churches on Sunday mornings, and he'll continue to do that, sometimes by taping his show ahead of time. "Up with Steve Kornacki" currently runs from 8 a.m. to 10 a.m. on the weekends on MSNBC. "Up" will apparently shrink to one hour on Sundays but will remain two hours long on Saturdays. Kornacki is expected to gain a weekday role on the channel. So much of MSNBC is in flux right now, be it host assignments or time slots for shows. 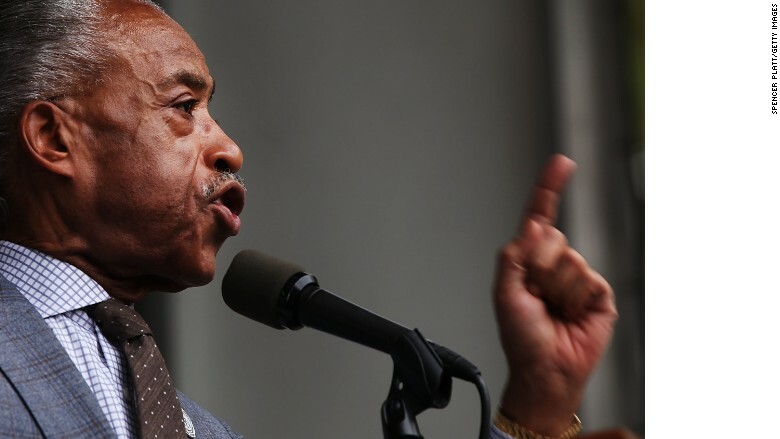 Griffin said the move to Sunday was a "next chapter" for Sharpton and his show, which will retain the "PoliticsNation" name as it shrinks to once a week. "I want to congratulate Al and his team," Griffin wrote in an internal memo. "For four years they have done a terrific job bringing his voice and a big spotlight to issues of justice, civil rights and equality."